This past week, during session with one of my clients with aphasia, I noticed he was having difficulty deciding when to use the words ‘do’ and ‘did’. In order to help him visually see different between ‘do’ and ‘did’, I put together a little visual. Then, later in the session he made the same error between ‘were’ and ‘are’. After session, I went into the grad room, and made this handy visual! Later in the week, another one of my clients made an error with ‘were’ and ‘are’ again, and I was prepared! As always, email with me any comments! Thank you for your support. 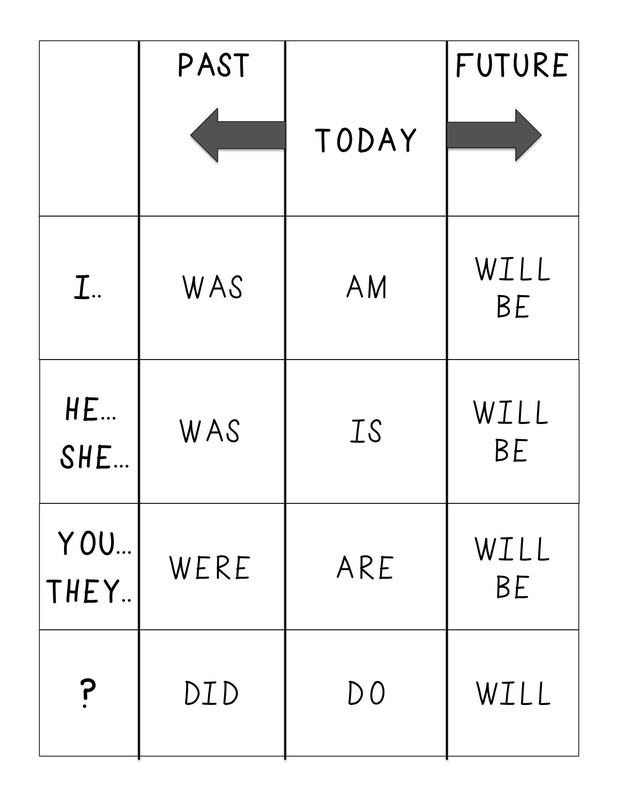 This entry was posted in Materials and tagged free materials, verb conjugation chart, verbs by Shannon. Bookmark the permalink.